Stacie Bloomfield from Fayetteville, Arkansas has some lovely prints and pillows available on her Etsy shop. 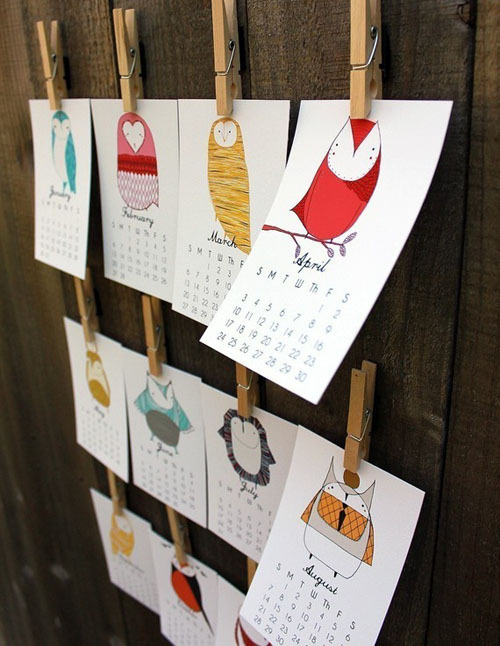 I always like to find a good calendar for the new year and her owl prints are just too sweet. Stacie has a variety of animal prints to admire, just click here to see them all. These adorable pillows are made of a soft cotton/linen fabric and each one is hand sewn. As Stacie shares on her site, "I am a wife and mother. I am a bit unorganized. Inspired by fall colors. I love to doodle and sew and watch Gilmore Girls on repeat." See all of her lovely goods here.